China. 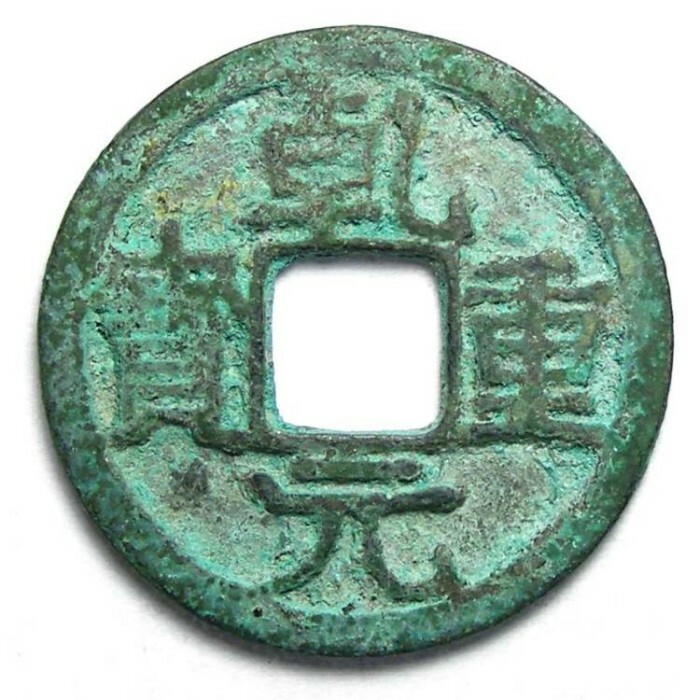 T'ang Dynasty. Emperor Su Tsung, AD 756 to 762. AE 1 cash. S-353. Date : This title was used from AD 756 to 762, but the 1 cash denomination was not struck in til AD 760. Size : 23.9 mm. Weight : 3.24 grams. Grade : aVF with a slightly crusty green patination.